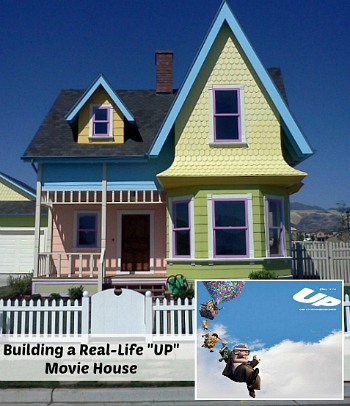 The homeowners say they wanted to make their kids happy because they love the popular Pixar animated film Up. But guess who isn’t so happy about its new look? The neighbors in their Old Quad neighborhood. Do you think they should have to repaint? Story, pics, and video on NBC’s Bay Area website. When this house was built a few years ago, the HOA said they’d have to repaint it. But locals later wrote me that the neighborhood had a change of heart and let them keep it. If anyone’s from that area you’ll have to let us know if it’s still this colorful. *Update: A reader just told me that it’s still looking “Up.” She says, “It is so cute, and my kids loved driving by on Saturdays before it was purchased because it would have balloons coming out of the chimney.” Thanks, Korinne! A reader named Toni told me that her kitchen makeover was featured at Between Naps on the Porch. Got a light box like this in yours? Her ceiling/lighting changes in the room made a big difference. How Does Your Enneagram Type Influence How You Blog? I’ve been fascinated by the Enneagram personality types system for years (and have a shelf lined with books on the topic to prove it), so I really enjoyed Leigh Kramer’s series about how different types approach blogging. I’m supposedly (according to the Enneagram test) a #5 Observer/Thinker type, although I’m still kind of questioning that result. I’m an INFJ on the MBTI, so I don’t think I totally fit into the #5 description (they’re often men and NTs, neither of which I am. Ha.) Which type are you? Looking to Rent in the Hamptons for the Summer? Got a Million a Month? I’m an INFJ too! We’re supposed to be kinda rare. I have a couple of the enneagram and Myers-Briggs books that I studied many years ago. (My favorite books are the fun, cartoony ones by Renee Baron.) At that time I decided I was a 6. I just took the test you linked to and came up a 6 again, though I feel that some things don’t really sound like me. The test here also says I could be a 9, and I think one book I have said I was 6 at 9, which is supposed to be a good thing. (My husband is definitely a 9, so that’s interesting.) ANYway, it’s fun to think about. I’m not a blogger, but looked at the 6 blogger profile. I’ve thought about blogging for years but haven’t for various reasons. Turns out that’s classic 6 behavior! I’ve got those cartoony illustrated enneagram books that Renee Baron wrote, and my daughter uses them to try to “type” different kids in her class to understand them better (and figure out how to deal with the ones who are a bit, well, difficult). My husband’s a 9, too. We’ve got a lot in common, Carolyn! I like the “Up” houses, but I think, being an old house person, I prefer the Victorian. What a lot of work! It’s a shame that the neighbours are kicking up such as fuss, when there are people who refuse to upkeep their homes. This home looks immaculate and I think it’s neat that they did it for the children. The Elvis home is pretty cool. It’s not something I would want to live in, but a die hard fan would enjoy it. It’s in great shape! Toni’s kitchen remodel is fantastic! I love renos that don’t involve complete destruction of the original space. So glad she kept the flagstone floor. I love Sheryl Crow’s house. It seems like the perfect Hollywood home. 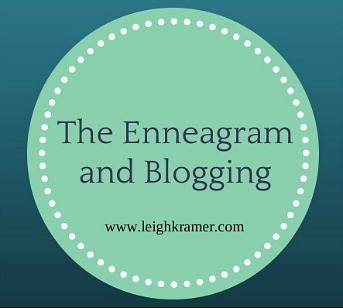 Thank you for linking to my Enneagram and Blogging series! I’m so glad you enjoyed it. I’m a fellow INFJ but I’m a Four. There is some correlation between MBTI and Enneagram types but I don’t have my resources with me to tell you where Fives fall with INFJ. But I can say that test results are not always accurate so I’d take a good look at whatever your second and third type results were and see whether that resonates more. I could talk about this all day long! Thanks, Leigh! Loved your series and keep referring back to it. I could talk about it all day long, too. Maybe it’s an INFJ thing? It’s a running joke in my family that if you come to my house, you’ll have to take the Enneagram before you leave. Ha. Julia, thanks so much for sharing Toni’s kitchen…such a wonderful makeover! Looking forward to checking out the other links in your post. Have a great weekend! I love Toni’s kitchen – I have, I believe, the same granite countertops in my kitchen. The granite is called “Brownie”. I also have the creamy white cabinets and the same corner lazy Susan and pull out drawers. We did our kitchen make-over in 2009. I still go in there and just stare at it and love it!! Do you really? That’s fun. And I love those pull-out drawers. Wish I had some in my kitchen! Update on the first UP house….I’ve seen follow-up stories given it’s local. The problem now is how they did the reno…exposing/stripping lead paint improperly. Neighbor’s yards have tested positive for thousands of times over normal and are considered contaminated (per the news story), so I expect more will come of this beyond the colors of the house. Uh-oh. That doesn’t sound good. Thanks for the update, Maria!